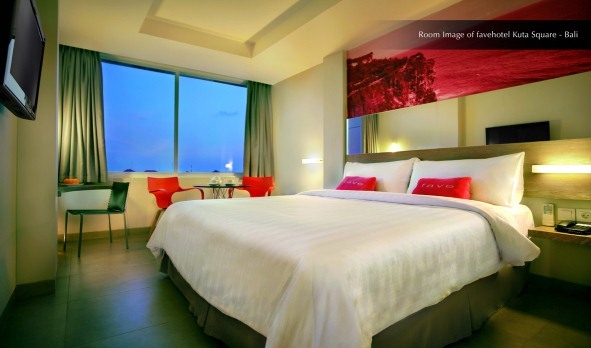 Jakarta – 12 November 2012 – Aston International opened its fifth trendy select service favehotel in Bali, the favehotel Kuta Square. The new “fave” enjoys one of the best locations on the island as it sits in the very heart of bustling Kuta on Jalan Kahyangan Suci, no more than 5 minutes from Kuta Beach and is surrounded by a proliferation of boutiques, shopping centers, cafes, bars, clubs and restaurants. With 95 fun, fresh and friendly rooms, Bali’s newest fave aims to bring edgy design and unprecedented levels of service to Kuta’s budget hotel market affording facilities and amenities usually associated with more costly hotels such as a swimming pool, an attractive and contemporary hotel lobby and an eclectic café. Aston Internationals Vice President of Sales & Marketing, Mr. Norbert Vas, said: “Fuelled by Indonesia’s growing middle class and changing customer demographics and behavior in overseas markets such as Australia and Japan demand for quality budget accommodations in Bali is on the raise. Our 251 room fave in Seminyak for example, which opened as recent as November last year, is now consistently fully booked and enjoys an almost cult status in Australia and Jakarta. We are confident that the favehotel Kuta Square, with its fave trademark design and service, will be equally well received”. 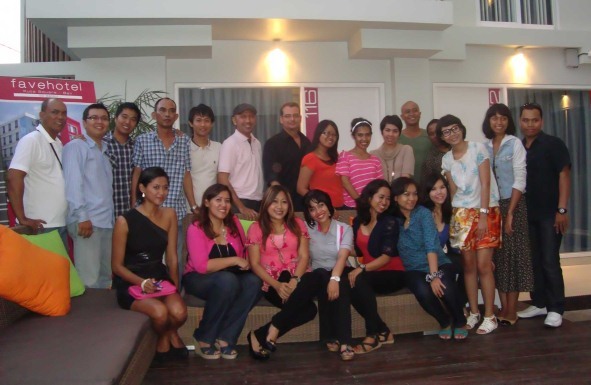 Seen in the image, Bali’s media taking picture with Aston International and favehotel Kuta Square management. 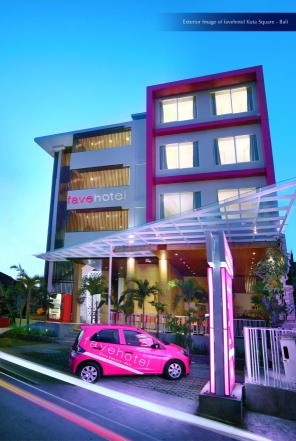 favehotels currently operates sixteenth (16) hotels in Indonesia and Malaysia and has a large development pipeline counting more than fifty (50) hotels. favehotels aims to be SE Asia’s best in class and most consistent budget hotel chain promising uncompromising standards for cleanliness and safety and select hallmark services and facilities including top of the line beddings, an industry leading website and booking engine guaranteeing best rates for direct clients and fast and complimentary WiFi. Aston is Indonesia’s leading hotel operator with over fifty (50) hotels and around 12.000 rooms and villas throughout the Indonesian archipelago and a growing presence in Malaysia and the Philippines. Aston’s brands cover the entire spectrum of the accommodation market and range from ultra luxurious private pool villas to serviced apartments and select service economy class hotels, thus offering travelers Indonesia’s vastast and most comprehensive hotel network.